So I am now about half-way through my week with the Zavtra and it has been fun so far! The watch is 48 mm in diameter, but it is a comfortable fit. 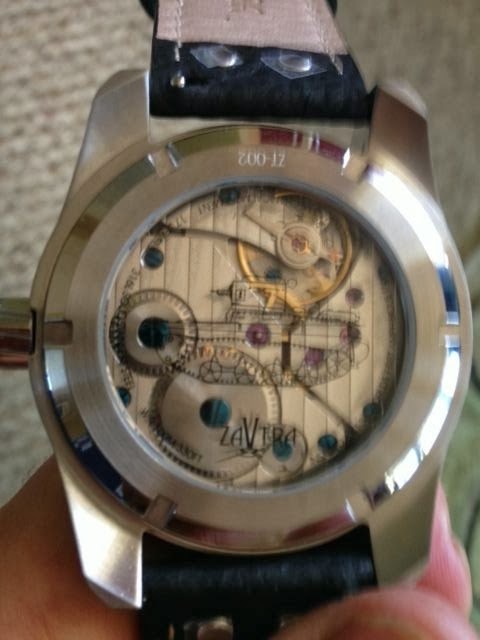 The lugs are slightly tapered down and this allows the watch to sit nicely on the wrist. It is stainless steel, but is not oppressively heavy. 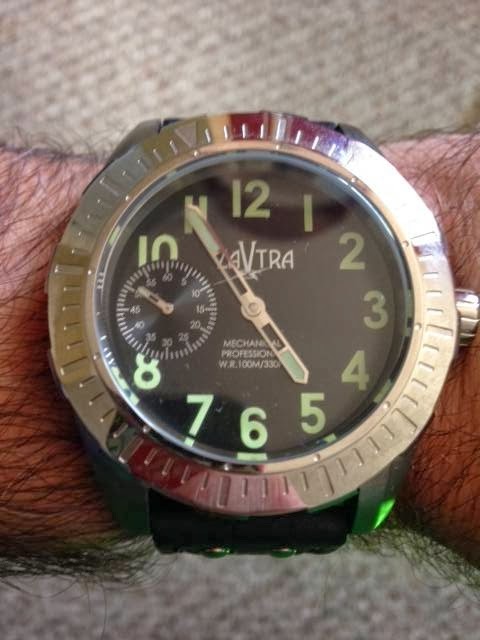 The numbered dial is clear and legible, and treated with superluminova. I will have a lume shot within the next few days. The hand-wound movement has a surprising amount of power-reserve, it has gone well past 36 hours on its one "day off". The timekeeping has been good. More to come tomorrow. Stay tuned.